The membrane-bound metalloprotease endothelin-converting enzyme-like 1 (ECEL1) has been newly identified as a causal gene of a specific type of distal arthrogryposis (DA). 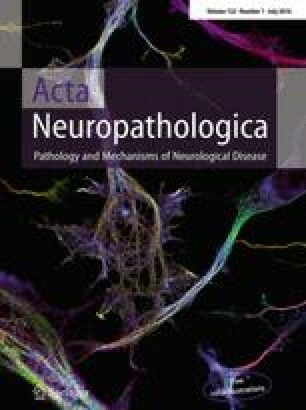 In contrast to most causal genes of DA, ECEL1 is predominantly expressed in neuronal cells, suggesting a unique neurogenic pathogenesis in a subset of DA patients with ECEL1 mutation. The present study analyzed developmental motor innervation and neuromuscular junction formation in limbs of the rodent homologue damage-induced neuronal endopeptidase (DINE)-deficient mouse. Whole-mount immunostaining was performed in DINE-deficient limbs expressing motoneuron-specific GFP to visualize motor innervation throughout the limb. Although DINE-deficient motor nerves displayed normal trajectory patterns from the spinal cord to skeletal muscles, they indicated impaired axonal arborization in skeletal muscles in the forelimbs and hindlimbs. Systematic examination of motor innervation in over 10 different hindlimb muscles provided evidence that DINE gene disruption leads to insufficient arborization of motor nerves after arriving at the skeletal muscle. Interestingly, the axonal arborization defect in foot muscles appeared more severe than in other hindlimb muscles, which was partially consistent with the proximal–distal phenotypic discordance observed in DA patients. Additionally, the number of innervated neuromuscular junction was significantly reduced in the severely affected DINE-deficient muscle. Furthermore, we generated a DINE knock-in (KI) mouse model with a pathogenic mutation, which was recently identified in DA patients. Axonal arborization defects were clearly detected in motor nerves of the DINE KI limb, which was identical to the DINE-deficient limb. Given that the encoded sequences, as well as ECEL1 and DINE expression profiles, are highly conserved between mouse and human, abnormal arborization of motor axons and subsequent failure of NMJ formation could be a primary cause of DA with ECEL1 mutation. The online version of this article (doi: 10.1007/s00401-016-1554-0) contains supplementary material, which is available to authorized users. We thank Yukiko Nagai for secretarial assistance, Tomohiro Tanaka for his kind technical advice, Artur Kania and Kania lab members (especially Daniel Morales and Chris Law) for thoughtful discussion, Division for Medical Research Engineering, Nagoya University Graduate School of Medicine for the usage of transmission electron microscope, and Saido lab members for assistance. We are grateful to RIKEN BSI-Olympus Collaboration Center for imaging equipment and software, and Tetsuya Tajima and Kaori Higuchi from the center for technical support. Injection of the CRISPR/Cas9 system into mouse zygotes was performed at the RIKEN BSI-Research Resource Center. This work was financially supported by a Grant-in-Aid for Japan Society for the Promotion of Science Fellows; Japan Society for the Promotion of Science KAKENHI Grant No. 26860141; Special Postdoctoral Researchers Program in RIKEN; RIKEN Brain Science Institute.